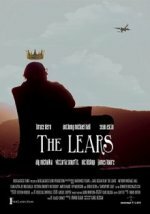 The Lears release date was Friday, February 15, 2019. This was a Limited in theaters release. A world-renowned architect Davenport Lear summons his four dysfunctional children to a weekend family retreat in one of his signature architectural creations. When they hear the bombshell that Lear has decided to marry his personal assistant Diana over the weekend, it sets off a round of devious behavior and conflict as each of them jockeys for position, borne by self-interest, greed and jealousy. A comic adaptation of William Shakespeare’s “King Lear,” Variety has learned.